Franz Osten’s sumptuous 1928 silent classic has been meticulously restored by the BFI National Archive. Shot entirely on location in India, it features lavish costumes and gorgeous settings – all the more impressive in this sparkling restoration which features a specially commissioned score by the Grammy Award-winning Anoushka Shankar. Shankar was taught by her father, the celebrated Ravi Shankar, a pivotal figure in the popularisation of the sitar, introducing the instrument to many Western ears, and she continues to open up new possibilities for this instrument. It’s a film as remarkable and ornate as the Taj Mahal itself – and Shankar’s new score is magnificent. With support from South West Silents. 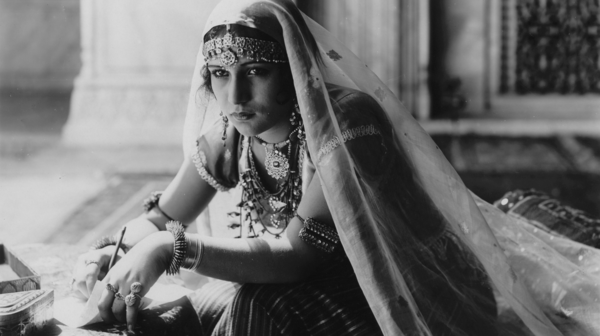 Join us for a rare screening of Italian silent films on 35mm with live musical accompaniment by Stephen Horne, plus Q&A.